Emirates made a clean sweep this week with award wins across multiple countries – from Russia and Belgium to the UAE – a testament to the airline’s consistent delivery of industry-leading travel experiences for its diverse customer base, and its commitment to investing in innovative products that will ensure its customers fly better. Emirates was named ‘Best Airline in the World’ and ‘Best Airline in the Middle East’ at the prestigious 2018 ULTRAs. 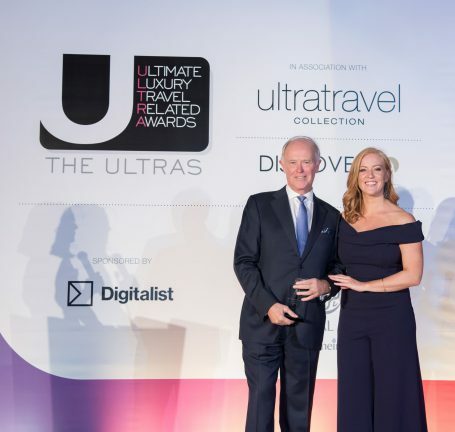 In a vote taken by over 500,000 readers of The Telegraph’s luxury travel magazines Ultratravel UK and Ultratravel Middle East, the awards recognise the world’s best providers of luxury travel experiences. Sir Tim Clark, President Emirates Airline, received the awards at a ceremony held last night in Dubai at the iconic Burj Al Arab Jumeirah hotel. The ceremony was attended by key members in the global travel industry. In Russia, Emirates was recognised for its operational excellence and outstanding customer service last night, when it scooped two prestigious awards as ‘Best International Airline’ at the eighth National Geographic Traveller Awards 2018, and ‘Best Middle Eastern Airline’ at the Business Traveller Russia and CIS Awards 2018. The National Geographic Traveller Awards ceremony was attended by industry leading figures as well as media representatives from across Europe. Earlier this week in Belgium, Emirates was named the ‘Best Long Haul Airline 2018’ at the Travel Magazine Awards 2018. The ceremony was attended by 700 industry leading figures, travel professionals and media representatives. This is the 21st Travel Magazine travel Awards where global brands are recognised as best hospitality providers in Belgium. Emirates is an industry trendsetter when it comes to providing a better customer experience, both onboard and on the ground. Emirates was first to unveil enclosed First Class private suites in 2004, and in 2017 the airline took luxury travel to the next level with its new Boeing 777-300ER First Class private suites. With floor to ceiling the new Emirates Boeing 777 suites are in a league of their own when it comes to exceptional luxury and privacy. The spacious, fully-enclosed private suites are laid out in a 1-1-1 configuration, offering up to 40 square feet of personal space each. The new private suites also showcase the latest in cutting-edge onboard technologies, including a NASA inspired ‘zero-gravity’ seating position, ‘virtual windows’ for middle aisle suites, and a personal video-call service, along with unique lighting and climate control features. Over the last 12 months, Emirates has continued to deliver on its “fly better” promise to customers, elevating the customer experience through significant enhancements to its Boeing 777 and A380 aircraft. The airline invested US$ 150 million to introduce a new Business Class cabin and configuration on its fleet of Boeing 777-200LR aircraft. On the A380, Emirates’ newly enhanced Onboard Lounge continues to wow customers with its modern finishes and expanded seating options. Emirates also continues to provide customers across all classes unrivalled entertainment options with more than 3,500 channels in over 40 languages through its in-flight entertainment system, ice. On the ground, Emirates’ seven Business Class lounges at Dubai International Airport Concourses A,B and C recently underwent an US$ 11 million makeover, reflecting the airline’s attention to the ground experience as an integral part of the customer journey. Emirates’ global network of dedicated lounges has grown to 42, reaffirming its commitment to ensuring a consistent experience for its premium customers and Skywards members. Emirates operates a modern and efficient all wide-body fleet comprising 270 Airbus A380 and Boeing 777 aircraft. The airline has continued to expand internationally and today flies to 159 destinations in 85 countries, connecting passengers and facilitating trade across six continents to and through its Dubai hub.